In Delhi, gold of 99.9 per cent and 99.5 per cent purities advanced by Rs 25 each to Rs 34,475 and Rs 34,325 per 10 grams, respectively. However, sovereign gold held steady at Rs 26,100 per piece of eight grams. 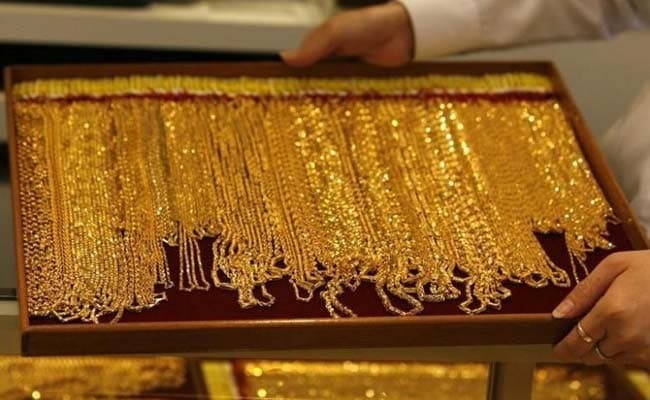 Extending the upward trend, gold prices on Tuesday gained marginally by Rs 25 to Rs 34,475 per 10 grams at the bullion market in Delhi, reported news agency Press Trust of India (PTI) quoting the All India Sarafa Association. Silver, similarly, advanced by Rs 170 to Rs 41,700 per kg on increased offtake from industrial units and coin makers. With local demand remaining flat, firm trend overseas influenced the sentiment, leading to marginal increase in the prices of yellow metal, said the report citing traders. 1. In Delhi, gold of 99.9 per cent and 99.5 per cent purities advanced by Rs 25 each to Rs 34,475 and Rs 34,325 per 10 grams, respectively. 2. However, sovereign gold held steady at Rs 26,100 per piece of eight grams. The precious metal had gained Rs. 340 on Monday. 3. Globally, gold prices on Tuesday held near one-week lows touched in the previous session, pressured by a firmer dollar and as investor appetite for riskier assets improved in the wake of strong US economic data, reported news agency Reuters. 4. Spot gold was steady at $1,313.95 per ounce in intraday trade. Prices in the last session fell to their lowest since January 29 at $1,308.20. US gold futures dipped 0.1 per cent to $1,318.40 an ounce. 5. Silver ready gained by Rs 170 to Rs 41,700 per kg, while weekly-based delivery was up by Rs 208 to Rs 40,645 per kg. On other hand, silver coins held flat at Rs 80,000 for buying and Rs 81,000 for selling of 100 pieces.